Once the quotation has been accepted, arrangements are made for the Planning of the operation to proceed. The following points are taken into consideration prior to the operations commencement. Site visit by our representative to enable the method of the erection / dismantling operation to be planned in precise detail and any site plans, layouts, schematic drawings finalised. Access to site for both transport and assisting cranage. Selection of Crane that will be required to assist in the erection/dismantling process. 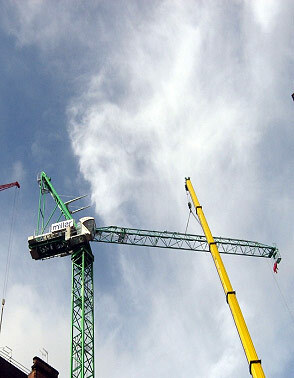 Proximity hazards due to standing height of crane to be erected and crane assisting in the operation. Arrangements for any necessary road closures or local authority liaison.